When making the decision to use either niobium or titanium one of the factors to consider is the difference in the colors between the two metals. 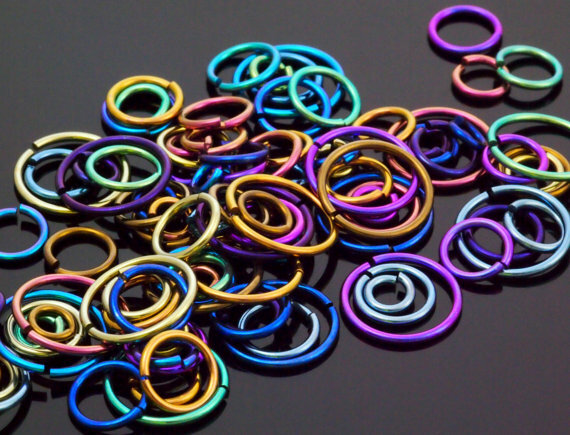 The process of anodizing produces durable colors on the surface of both metals, but not the same colors! Overall, niobium has a much brighter, more jewel-tone range of colors, whereas titanium has a softer, more pastel palette. For either metal, a good polish makes the colors shine better than on un-polished metals! This is why I tumble polish all of my niobium and titanium rings before anodizing them. A color mix in polished niobium! …and here is one in polished titanium! For a more subtle and soft touch of color in a piece, I suggest titanium with its light sherbet tones. 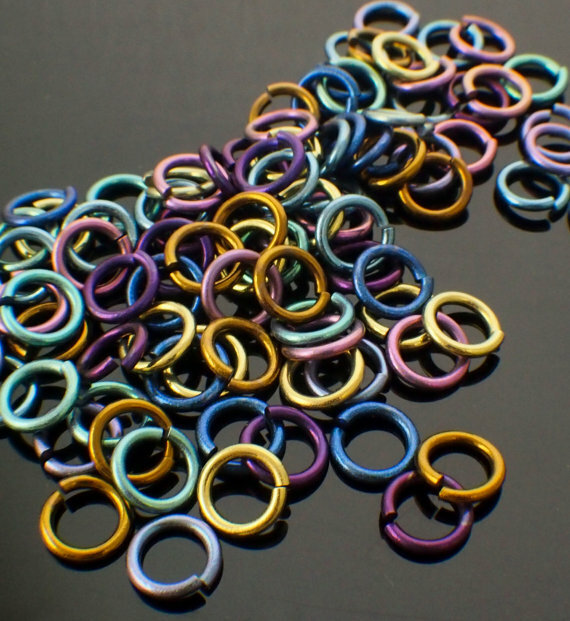 When something calls for a bolder pop of saturated color, niobium is definitely the way to go! Is this a permanent colour or does the colour eventually wear off? The color is almost permanent. It will not rub off in normal wear, but it can be scratched if the piece hit against a hard surface.